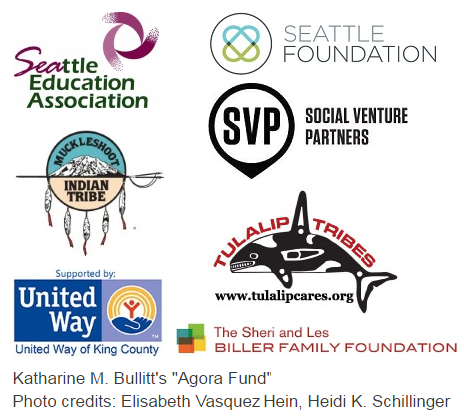 Southeast Seattle Education Coalition (SESEC) is seeking volunteers for special cohorts to develop stronger policy and advocacy skills in the SE Seattle community. Cohort members learn how to use data in advocacy and policy work, develop and understand policies through a racial equity lens, ways to effectively advocate, how to write letters to the editor and op-ed pieces, and how to do effective presentations at boards, committees, and commissions. At the conclusion of each cohort, members will have a deeper connection to policy work, stronger leadership skills and a better understanding of policy issues. *This date may move due to coinciding with Spring Break. Meetings will be in SE Seattle, meetings at SESEC office (3829B S Edmunds St) in Columbia City. Please note our office has stairs and is not ADA accessible. If stairs are a barrier to your participation or language interpretation is needed, please let us know ASAP, we seek to create an inclusive environment. Stipends and transportation reimbursements available upon request, dependent on funding. If you are interested in joining the committee, please fill out this form and Mindy will reach out to you. Priority will be given to SESEC partners and BIPOC (Black, Indigenous, People of Color). If you are wait-listed, you will receive an email from Mindy.